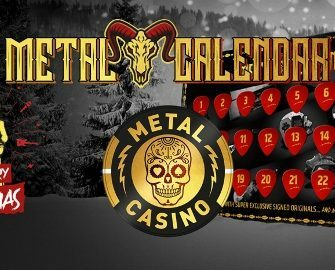 Metal Casino – Metal Xmas Calendar | Week 3! Rock the Christmas tree in the third week! More killer offers are coming your way this week at Metal Casino and it won’t stop until Christmas Eve. Players can look forward to some of the best promotions in a year as the casinos generously spread extra rewards and presents in the spirit of Christmas. 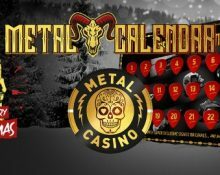 Metal Casino has started the countdown to Christmas with a daily calendar, promising killer offers everyday. Created by a group of casino experts with a passion for heavy metal music, they decided to take their joint head-banging sessions to a new level and create some real magic: Metal Casino – the best of two worlds. So what makes Metal Casino a tough act to follow for other online casinos out there? They offer the world’s most popular slots, a great live casino, fast payments and as the cherry on the top of the cake, live concert experiences with up-close-and-personal moments with some of the heaviest names in Metal music. All players at Metal Casino, get ready for 24 days of rocking casino offers that will have you headbanging all the way to Christmas Eve. 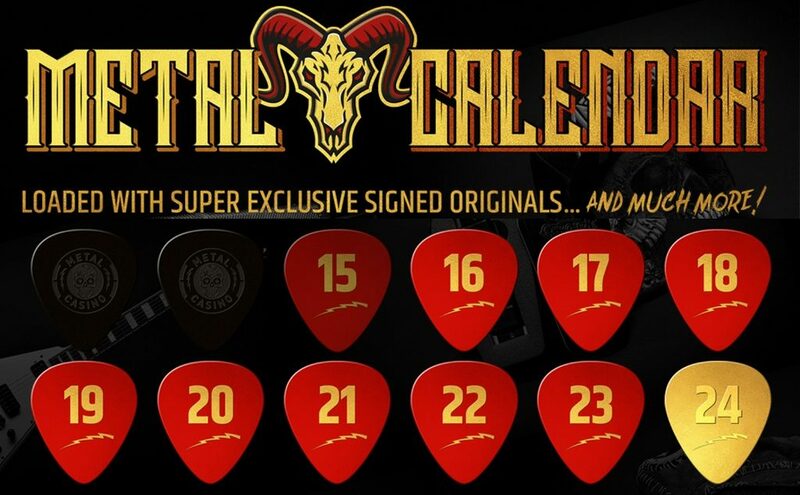 Log-in every day to open a new door on the Metal Calendar as it will contain killer offers for deposit bonuses, no-deposit chips, bonus spins, races, tournaments and exclusive merchandise and concert experiences. Wagering requirements may apply to some offers and rewards, subject to the Metal Casino bonus terms and conditions. 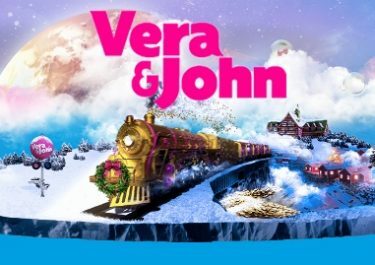 Deposit €30 – €59 | €60 or more to receive 3,000 | 6,666 MetCoins, which can be exchanged in the MerchRoom for bonus spins at varying bet sizes or merchandise. For those that want their metal black. Sweden’s legendary monster, Lord Ahriman of Dark Funeral, is giving away some magic here – a triple guitar case, Dark Funeral backdrop and signed B.C. Rich guitar. Can’t get more metal than that. Deposit minimum €20 to be entered in to the random draw. One winner will be picked at random from all eligible players and will be announced on the following Thursday during the Metal Casino Live Stream. Deposit minimum €20 to be entered in to the random draw for one prize of €300 in cash. A winner will be picked at random from all qualified players and will be announced on the following Thursday during the Metal Casino Live Stream. Prize will be credited by 17:00 CET on Friday. A classic never goes out of style. Grab this Anthrax cap signed by Scott Ian, and strut down the street, in full metal style. Deposit minimum €20 to be entered in to the random draw. One winner will be picked at random from all eligible players and will be announced on the following Thursday during the Metal Casino Live Stream. 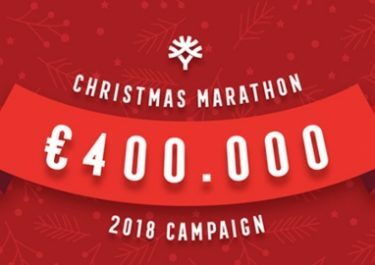 Deposit €30 – €49 | €50 – €99 | €100+ to instantly get 30 | 60 | 130 bonus spins on Secrets of Christmas. Wagering requirement is 45x winnings from the bonus spins within seven days with withdrawals capped at €1,000 per batch. Win a set of Marshall Bluetooth Headphones. Deposit minimum €20 to be entered in to the random draw. One winner will be picked at random from all qualified players and will be announced on the following Thursday during the Metal Casino Live Stream. Deposit minimum €20 to be entered in to the random draw for one prize of €666 in cash. A winner will be picked at random from all qualified players and will be announced on the following Thursday during the Metal Casino Live Stream. Prize will be credited by 17:00 CET on Friday. Check back tomorrow when we will reveal the next festive reward. 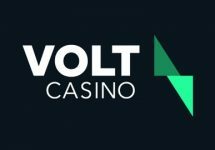 Launched in August 2017, the casino is operated by MT SecureTrade Ltd. under MGA Malta and UKGC licenses. A superb choice of games are on offer for desktop, mobile and tablet from providers such as Netent, Aristocrat, Bally, Barcrest, Betsoft, Big Time Gaming, Blueprint Gaming, Elk Studios, Fantasma Games, Genesis, Genii, IGT, JustForTheWin, Leander Games, Lightning Box, Microgaming, NoLimit City, NextGen Gaming, NYX Interactive, Play’n GO, Pragmatic Play, Push Gaming, Quickspin, Red Tiger Gaming, Scientific Games, Spigo, Thunderkick, WMS and Yggdrasil. The LIVE Casino tables are powered by Evolution Gaming and Netent Live.